Improved road transportation tonnage shows that the United States is on a path toward recovery after a brutal winter left many drivers stuck at distribution centers. Over the arduous three-month period, managed IT services were often consulted by third-party logistics providers requiring real-time data of all assets in an attempt to figure out how they should transport materials in the adverse weather conditions. Though still consulting with those professionals, many distributors are realizing that the roads are opening up. In light of this increased usage, the Federal Motor Carrier Safety Administration is considering requiring trucking companies to install electronic logging devices in heavy vehicles in order to bolster best practices. According to Logistics Management, the action was proposed on March 13 and received both praise and criticism from those in the industry. The source cited a spend analysis assembled by the FMCSA, which showed that the motion could cost the industry $1.6 billion. The article noted that despite lengthy measures designed to drive down accidents, trucking-related crash fatalities are rising. Government authorities reported 3,921 deaths in 2012, a 3.7 percent increase from the previous year. 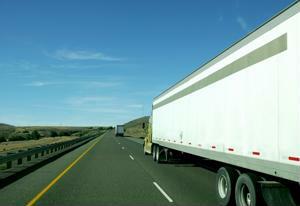 The American Trucking Association lauded the FMCSA's efforts to decrease this harrowing statistic. Jeff Brady, director of transportation and logistics for a specialty retailer, stated that the flack accumulated by the organization is due in part to the idea of trading safety for lower costs. He noted that insurance fees may decrease after ELDs are used, as providers will perceive that there's less risk involved in trucking. As a result, it's possible that procurement management may change sign​ificantly for retailers relying on road transportation. The proposal comes just in time for an improving transportation industry. As reported by the City Wire, the ATA revealed that, after a 4.5 percent decline in January, February witnessed a 2.8 percent gain on the organization's truck tonnage index - a 2.3 percent improvement from February 2013. Bob Costello, chief economist of the association, claimed that a backlog in freight early in 2014 contributed to the initial dip. Rosalyn Wilson, senior business analyst for Declan Corp., told the source that progressive trends between shipments and rates indicate consumers could potentially encounter a rise in prices. She claimed that customer expenditures remain greater than the current volume carriers can handle, signifying that businesses will have to execute creativity in the procurement process. We run EOBRs in our trucks, if FMCSA wants to look at numbers on safety, accidents were declining before the the new hours of service took affect. we have tired drivers driving down the highway, because they took our split break away from us. So drivers are pushing them selves to get as much done in the 14 hour window as possible. We should be able to tak a nap and have it stop the 14 hour clock. Lets see a study done on that.